13-year-old Marley Dias has collected 11,000+ children's books showcasing Black female protagonists and has donated them to schools, libraries and other institutions. 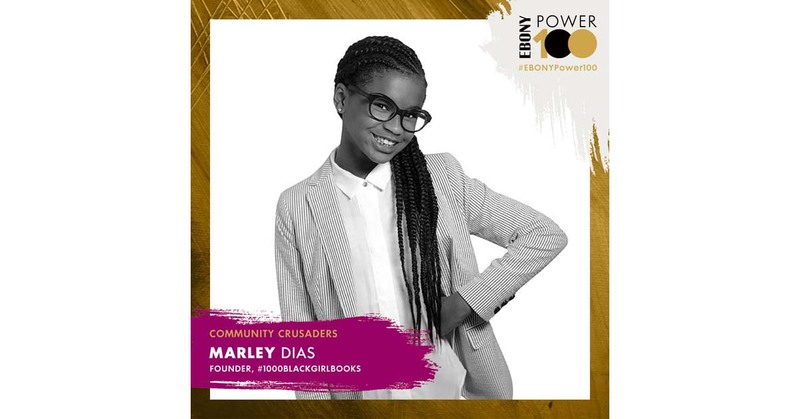 In 2018, she launched her own book, Marley Dias Gets It Done (And So Can You!) And she already has experience as a journalist at a major outlet, editing her own digital 'zine on Elle.com. She's gotten plenty of TV time, too, making appearances on such shows as Ellen, CBS This Morning and Today. Dias also has fit some pretty impressive conferences into her schedule, including the Forbes Women's Summit, United Nation's Girl Up, Inbound, CEO Action for Diversity and Inclusion and the Social Innovation Summit. All that while being featured in a Microsoft commercial and a Disney World Resorts digital campaign. This year, the West Orange, New Jersey resident hit another major milestone: starting high school.